This visit was part of a short road trip to Stockton. Click the left turn sign to get back to the start page or the U-turn sign to get back to the road trips page. 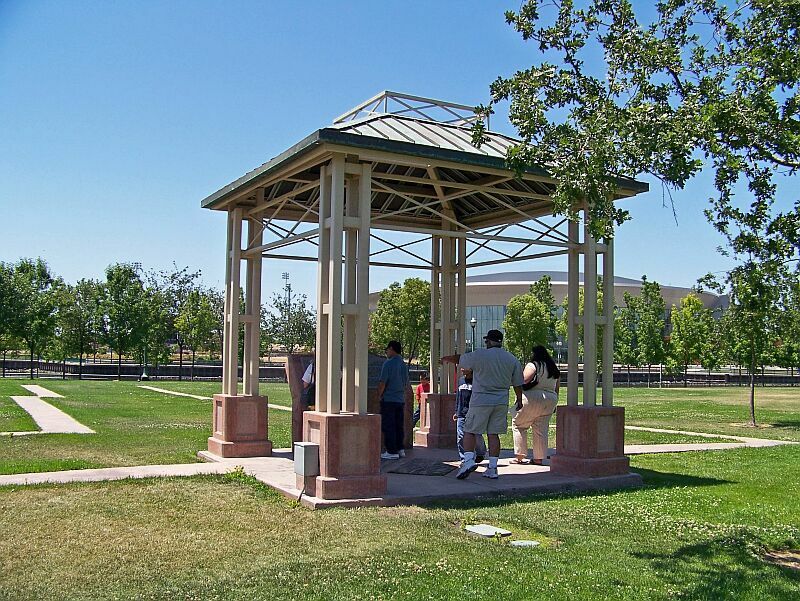 Weber Park and the Weber Point Event Center cover 9.7 acres in downtown Stockton. 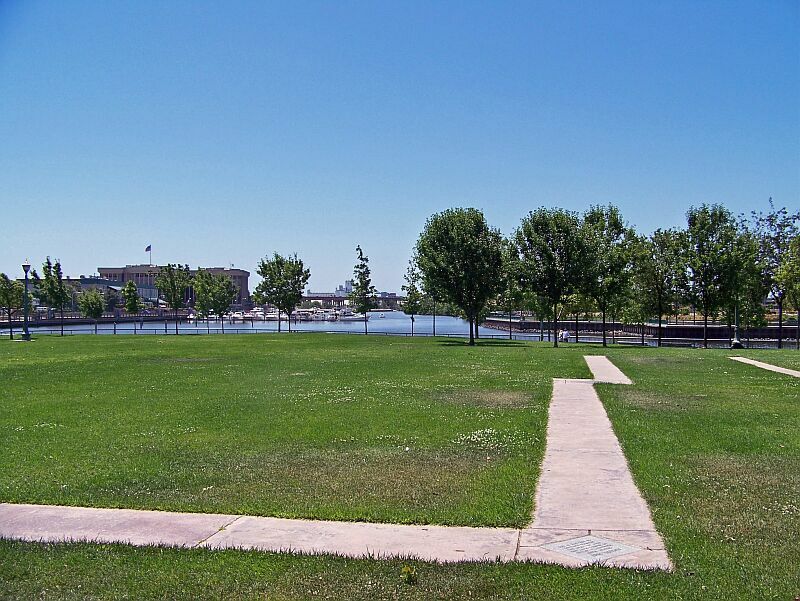 The park is located at a former pier at the end of the Stockton Deep Water Channel that once made Stockton a major supply center to the southern gold mines during the Gold Rush. 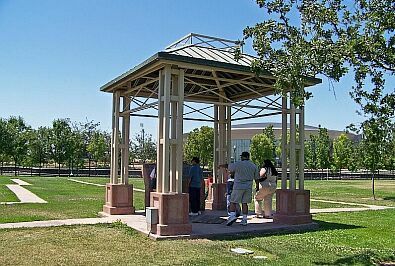 Center of the park is a little gazebo, marking the location of the original residence of German immigrant Karl Maria Weber and his wife. Weber built his house originally in 1849, it was later remodeled, flooded, partially moved to a different location, and eventually burned down in 1917. This spot marks the place of the first house ever built in California's Central Valley. Weber House in the 1890s. Note the big sailing ship in the back. Gazebo and plaque marking the location today. 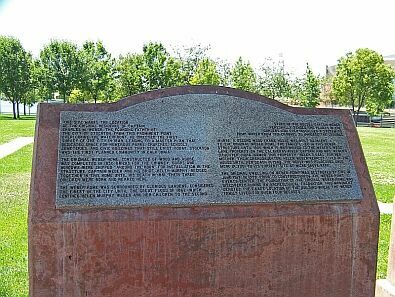 This site marks the location of the original residence of Captain Charles M Weber, the founding father of the City of Stockton. From this prominent point, overlooking the waterfront, he directed the first survey of the city in 1849, leading to a master plan that dedicated space for numerous parks, churches, schools, cemeteries and civic buildings that still exist today. Stockton was the first planned community in California. The original Weber home, constructed of wood and adobe, was completed in 1850. Bricks for the chimney, doors and windows were shipped around the Horn for installation in the structure. Captain Weber and his bride, Helen Murphy, resided together in this home until his death in 1881. There three children were born and reared here. 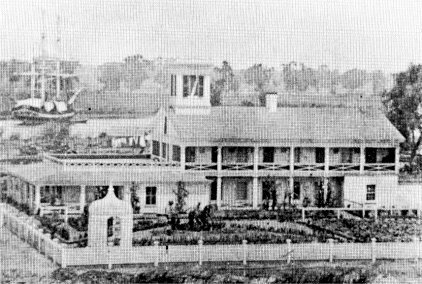 The Weber home was surrounded by glorious gardens, considered the finest in the city until the great flood of 1862, which confined Helen Murphy Weber and her three children to the second story of the house. Captain Weber personally tended the plants in the gardens and even installed a system to pump water from the channel to irrigate the grounds. In 1892, a second wood frame house was built adjacent to the original structure until 1900, when it was moved to the Weber's West Lane property on the Calaveras River. Weber's daughter Julia named the property "Helen's Oaks" for her mother. Their granddaughter, Helen Weber Kennedy lived in the house until her death in 1983. The house was relocated once more in 2001 to its current site at Micke Grove Park. The original dwelling on Weber's Point was destroyed by fire in June 1917. In 1999, prior to construction of the Weber Point Events Center, the foundation of the original Weber home was discovered during an archeological excavation. This monument demotes the exact location of the building where the Weber family lived for over four decades. 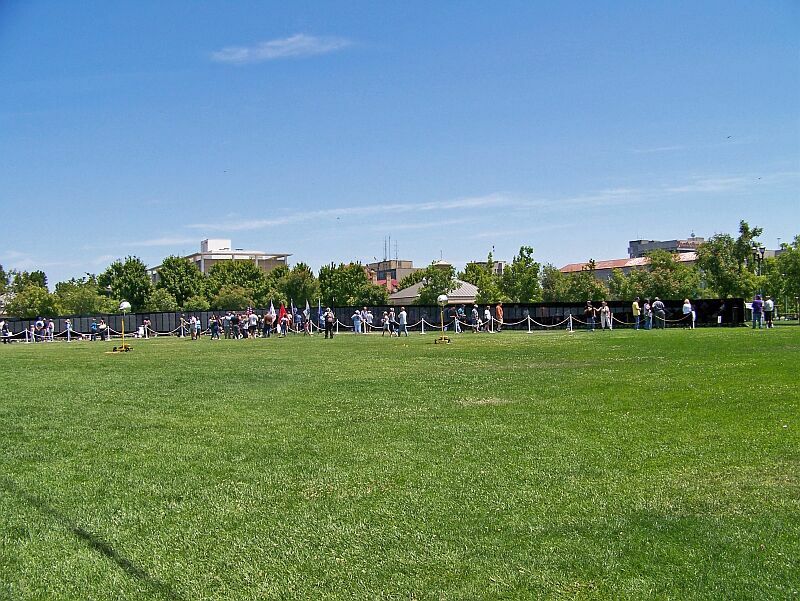 The main reason to come here was to see the Moving Vietnam Wall. Click the left turn sign to get back to the start page or the right turn signal to move on to the Moving Wall.